I am pretty sure my husband wasn’t impressed by my question at 3pm on a holiday Monday when he was painting our new laundry. But he was the one who kept the broken washing machine, you know, ‘just in case it might come in handy’, so I knew he’d see it as a challenge and rise to it. Of course that is exactly what happened. Half an hour later her carried in the front panel of our washing machine. Nothing a little angle grinding, hitting with a hammer, filing, and tenacity couldn’t achieve. It wasn’t until this large piece of white metal was sitting in our living room did he ask me what I wanted it for. “I just thought a mega magnet board would be fun” I replied… and boy have we had fun with it! Of course you don’t have to rip the panel off your washing machine to make a magnet board, you can buy an oil pan/drip tray and use that. 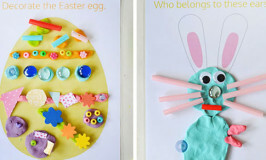 Teach Preschool shares some simple, step by step, instructions on how to make one. 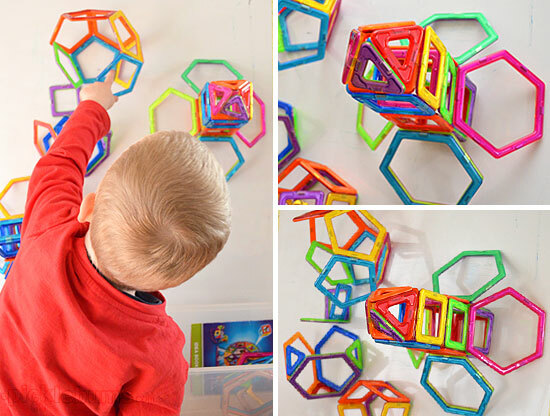 At first we played with our Magformers magnetic building set on the mega magnet board and had so much fun creating 3D constructions and patterns that I was inspired to make some more magnet sets to play with. 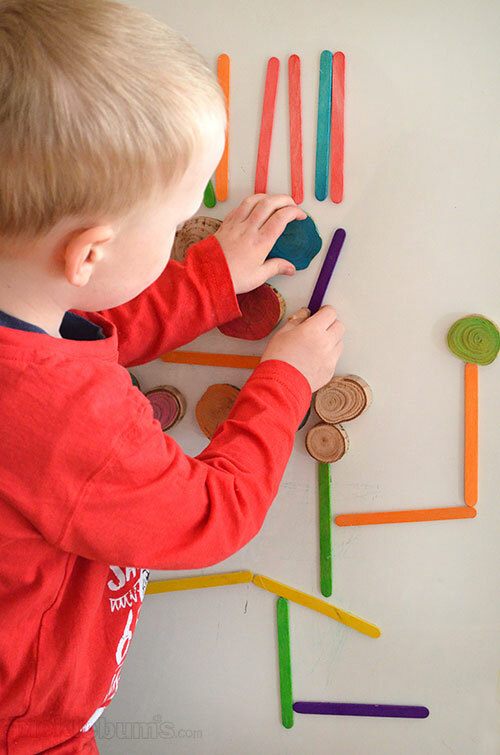 Here are three easy ways to play with magnets that we’ve used on our mega magnet board today. My husband is not the only one who likes a challenge that involves tools. In between cooking dinner, and bathing kids, I decided I wanted to make some wooden magnets, so I dashed out to the wood pile and rescued a few bits of firewood and quickly sawed them into slices. While the roast cooked, I painted some of them with our marker paint and left them to dry (yep we’ve used the marker paint a lot lately). This morning I cut up pieces of old promtional fridge magnets and hot glued them to the back of the wood slices. I also glued magnets to some coloured icey-pole (popsicle) sticks. Make sure you glue the magnets on well and are aware of the choking hazard if you are playing with small children. 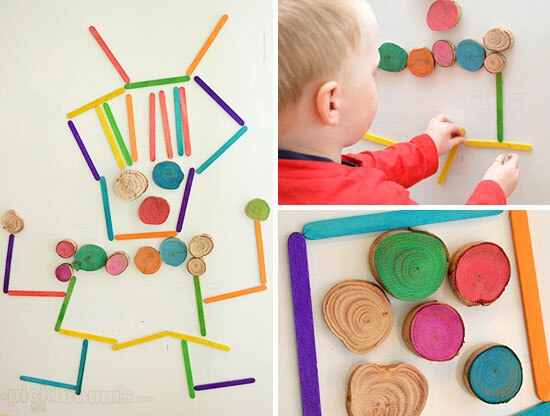 These wooden magnets were lots of fun and can be used in so many ways. Inspired by the big white space of the magnet board I hunted out some whiteboard markers and picture magnets. 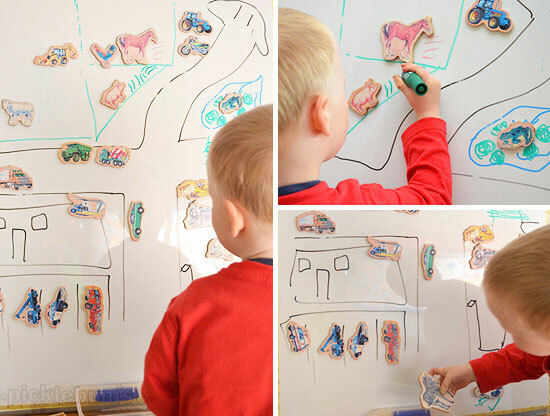 We have some lovely wooden picture magnets with vehicles and animals on them, but you could make your own easily using stickers like Christie did at Childhood101. You could even print out our Space Crazy play dough accessories and turn them into magnets, or any of our printable puppets. We made a map with a farm, a zoo, a hospital and a beach! You didn’t think I’d play with magnets and not make a printable did you? Of course not! Our printable robot magnets have been played with till they fell apart so I knew some more printable magnets were definitely in order. This time I kept it super simple and went with a sheet of triangles and a sheet of squares and rectangles in bright colours. 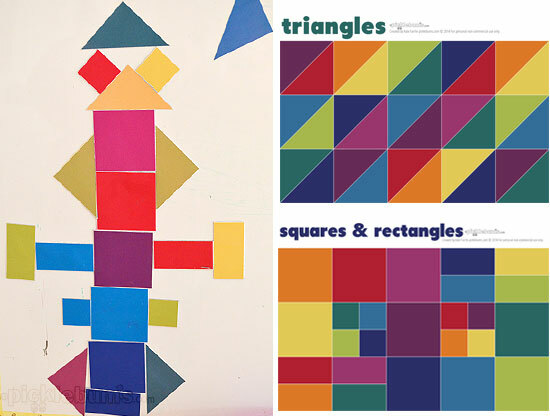 You can download the free pdf file for the triangles here, and for the squares and rectangles here. I printed ours right onto printable magnet sheets but you could print them onto photo paper, cut them out and glue old fridge magnets to the back for the same effect. 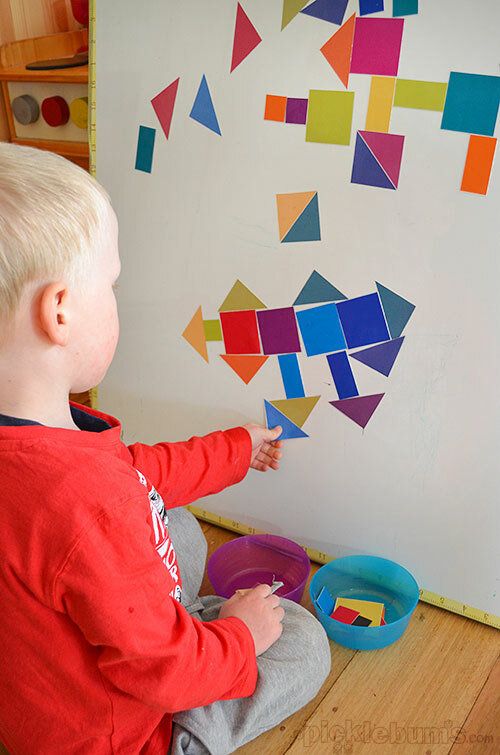 It is amazing what you can create with just a few simple shapes. Noah played with the magnets all afternoon and then the big kids came home from school and played with them too. Now the magnet board is covered in a crazy magnet madness and waiting to be played with again tomorrow! Now I am wondering what else we can use on our mega magnet board. I would love you all to share your ideas! 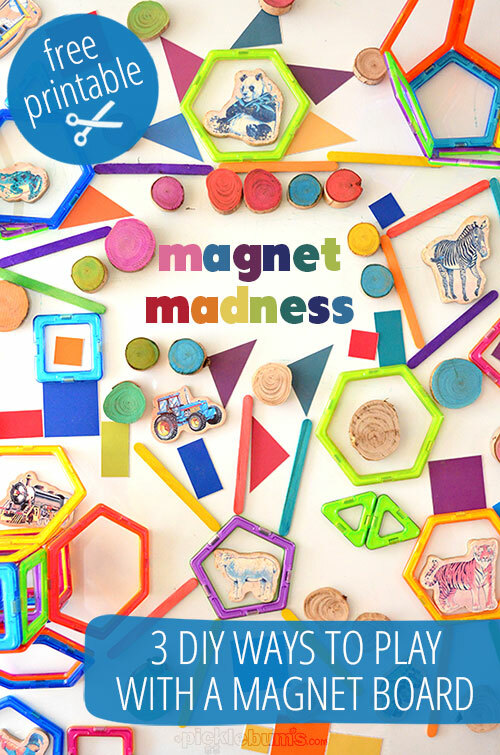 This looks more like 33 ways to play with magnets! Keen to give some of these a go. We have a small kit of Magformers too- they are great aren’t they! 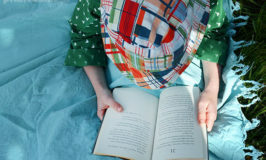 So enjoying your blog, which I found today. Love the stories that go with the activities. You’re wonderful! Thanks for the ideas and printables. Well I can see the letter fridge magnets we have really need these ideas as extensions into play for my grandchildren. I love all of these ideas! 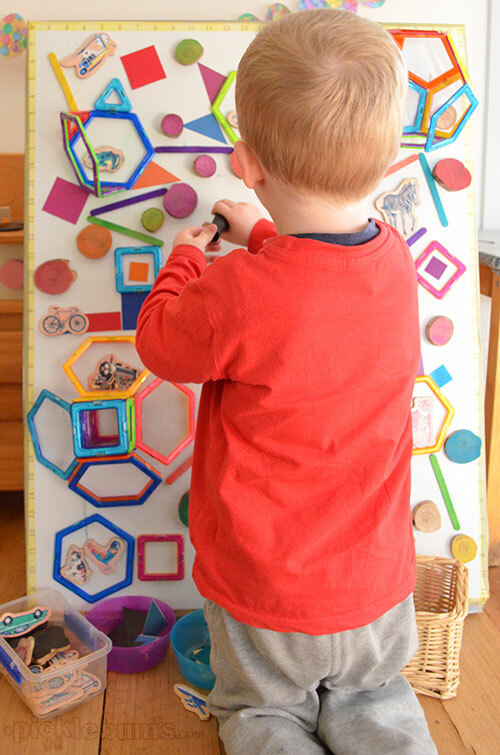 I can’t wait to get busy and make some new things for my preschool class to use with our magnet board. They will love these ideas as much as I do! Thanks so much!! My youngest used our chest freezer as her own whiteboard, but the magnet idea would have been a crazy fun. My new office walls are magnetic and now I’m no longer wondering how to decorate. Lots of fantastic ideas, thank you. 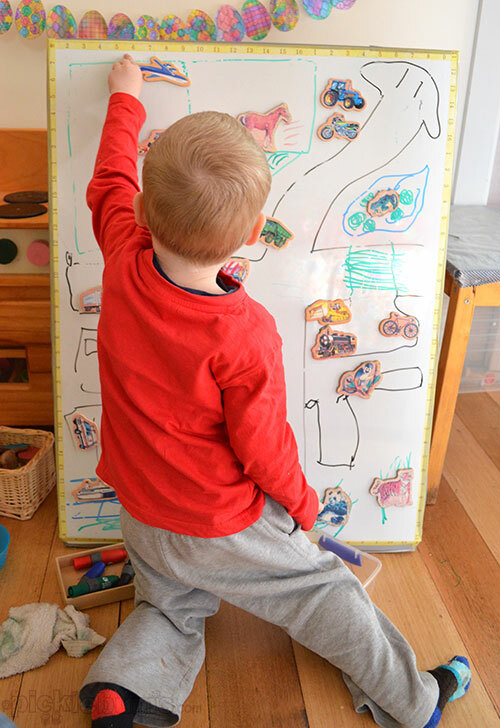 Many years ago I bought a new fridge, that had a tiny scratch on it at point of sale, so they company replaced the door – the teacher in me asked to keep the old door, that otherwise would have been tossed, and my husband put some board on the back so it would sit flat – makes a great magnet play space (both in the classroom and at home)!! Have you tried putting magnets on pom poms . . .